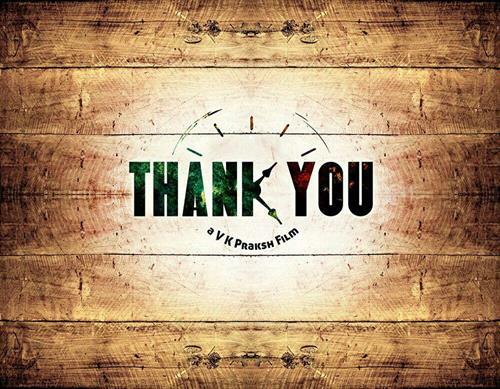 Thank You malayalam movie directed by V K Prakash will have Jayasurya, Dhwani(Honey Rose), Mynaa fame, Sethu, Remya Nambeesan, and Sunny Wayne in lead. Produced by Shahul Hameed Marikar under Marikar films, the movie gives a social message urging all to react againt the violence againt women. The movie will start rolling soon. After the mejestic box office success of 'Trivandrum Lodge', V K Prakash is back with his team for yet another project titled as 'Thank You'. The movie will feature Jayasurya and Dhwani (Honey Rose) in lead role supported by Mynaa fame, Sethu, Remya Nambeesan, and Sunny Wayne. Produced by Shahul Hameed Marikar under Marikar films, the movie gives a social message urging all to react againt the violence against women. Jayasurya and Dhwani will pair for the second time after uniting earlier for VKP's 'Trivandrum Lodge'. Dhwani would don the role as Jayasurya's wife, a homemaker with a modern outlook towards life. On the other side Jayasurya's plays the character of a person who reacts against violence. Scripted by Arun Lal, the movie is a thriller which revolves around a person who arrives in Trivandrum city who takes a ride from place to place in an auto. The eagerness to track the whereabouts shapes the rest of the story. Arun Lal who had earler worked as script writer for 10.30 AM says that the project got a green signal from Jayasurya and VKP who kept high interest over it. Even at heat and tough conditions, the movie will be shot in April as it forms an integral part of the story. Mayna fame Sethu will don a prominent role who ha also bagged a project titled 'Red Carpet' along with Fahadh Fazil in which he plays a TV journalist. Thank You is one among the 7 movies to be produced by Shahul Hameed Marikar for Marikar films. The other 6 movies on line under production are Starring Paurnami, Safari, Koothara, Nayvetta and other 3 projects donned by Sugeeth, Boban Samuel and Denil. With a project titled 'Disco' Lijo Jose Pellissery will shoulder 'Nayvetta' with Fahadh Faasil Suraj Venjaramoodu and Milan Suman in important roles.